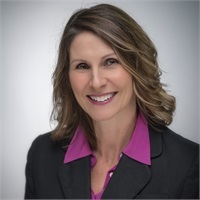 Karen joined Ellenbecker Investment Group as a Client Relations Specialist in February of 2018. She works closely with Pam assisting with scheduling, greeting clients, answering phones along with other miscellaneous duties for our advisors, when needed. Karen graduated from University of Wisconsin - Milwaukee with a bachelor’s degree in communications. She indulged her passion for decorating and design by creating her own staging and design business, while also obtaining her real estate license. Karen lives in the Lake Country area and loves spending her free time with family and friends. When she isn’t cuddling with her two dogs, she can be found cooking something spicy in the kitchen or rearranging furniture.